On December 8, 1993, a triumphant President Bill Clinton signed the North American Free Trade Association (NAFTA) bill into law. Reflecting popular sentiment, he praised this monumental economic treaty by stating, “I believe we have made a decision now that will permit us to create an economic order in the world that will promote more growth, more equality, better preservation of the environment, and a greater possibility of world peace.” Initially, NAFTA supporters promised a plethora of benefits for the countries of North America. 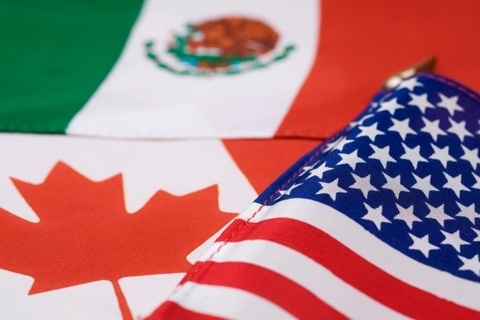 American proponents promised that NAFTA would create more jobs reflecting higher wages in the United States,(1) while also reducing the U.S. trade deficit with Mexico and Canada. (2) Mexican leaders claimed that the bill had the potential to create a sizable and revitalized middle class in Mexico by raising wages and strengthening living conditions for its impoverished citizens. Mexican President Carlos Salinas, whose administration had been tarnished by charges of corruption, proclaimed that NAFTA would, at long last, enable Mexico to join the developed world. (3) Likewise, leaders from both countries pitched NAFTA as a solution to illegal migration across the U.S.-Mexico border; with more and better-paying jobs, as well as cheaper goods in Mexico, the United States would no longer be an attractive land of opportunity. (4) Regrettably, the majority of these promises never materialized. The limited benefits that have resulted from NAFTA have been overshadowed by its numerous failures, which have both negatively affected the United States and greatly harmed Mexico, especially in the agricultural sector. Perhaps the most devastating blow dealt by NAFTA to the Mexican economy was the near destruction of Mexico’s agricultural sector, in which 2 million farm workers lost their jobs and 8 million small-scale farmers were forced to sell their land at disastrously low prices, or desert it, due to sharply declining food prices. (13) Importantly, the U.S. government subsidizes many domestically produced agricultural products, allowing the products to be sold to Mexico at prices 30 percent below the cost of production. (14) Thus, after NAFTA’s inauguration, U.S. agricultural exports crowded out Mexican agriculture produce, and the United States became the main food supplier of Mexico. In one case, U.S. corn exports, by maintaining subsidized prices, have all but rendered Mexican corn cultivation obsolete and non-competitive. 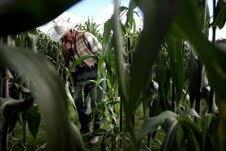 Corn, or maize, had been one of the main crops and an integral part of the identity of the Mexican people since pre-Columbian days, but due to subsidized U.S. agricultural products, this tradition has all but come to an end. Thus, NAFTA has not only negatively impacted Mexico’s economy, but also altered its national identity by infringing on ancestral traditions. Due to the decline in the competitiveness of Mexican agricultural products, the rural population has been pushed from the countryside into the cities to seek employment in the booming manufacturing sector, one of the many paradoxical consequences of NAFTA. Many American corporations took advantage of this plethora of cheap labor and constructed factories along the U.S.-Mexico border, creating the maquiladora system. While these factories, or maquilas, created 1.3 million jobs in the export-manufacturing sector, they still were not able to counterbalance jobs lost in the agricultural sector, and it was not long before foreign competition threatened these newly created jobs. (15) Since 2001, one third of all NAFTA-created manufacturing jobs in Mexico have disappeared as North American corporations continue to offshore operations to China, where manufacturing wages are about an eighth of those in Mexico. (16) Although NAFTA is not the only cause of the economic distress Mexico has faced in the past decade, the economic pact failed to generate a Mexican economy capable of competing in a global market, thus negating what little economic benefit it brought Mexico. Moreover, even with the creation of new manufacturing jobs, Mexican living conditions have consistently declined since NAFTA’s advent. In the pact’s first five years, real wages in Mexico fell by 20 percent, and workers in the manufacturing sector now earn about a fourth of their pre-NAFTA wages. (17) Additionally, the prices of most goods in Mexico have significantly increased. The cost of tortillas, which represent 75 percent of the daily caloric intake for Mexico’s poor, increased by 571 percent in the first six years of NAFTA, rendering meager wages even more insufficient than before NAFTA’s implementation(18) and making it increasingly difficult for families to meet basic needs. Wage disparities between Americans and Mexicans have also widened. In 1994, Mexicans earned 23 percent of what Americans earned overall; by 2006, the differential had dropped to 12 percent. 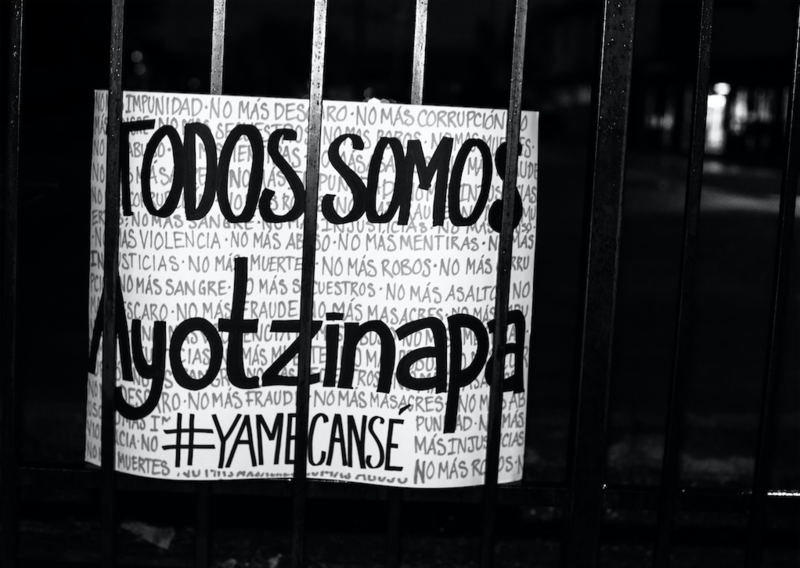 (19) With this wage reduction, the lower class in Mexico has expanded, pushing more poverty-stricken individuals into areas that were already troubled by inadequate housing, healthcare, and public safety,(20) and generating further problems for the Mexican state, such as drug violence and urban sprawl. Overall, neither the United States nor Mexico has seen the benefits promised from NAFTA, but Mexico should be most disappointed. The writers of the bill failed to provide equitable stipulations for labor conditions, environmental protection, or investment regulations. Laborers on both sides of the border saw their collective bargaining powers diminish after NAFTA. Mexico, the United States, and Canada must transform NAFTA from a “free” trade agreement to a “fair” trade agreement through revisions that create jobs instead of destroying them, protect workers, and create an environment that allows Mexicans to stay in their home country and earn a living wage. To view citations, click here.